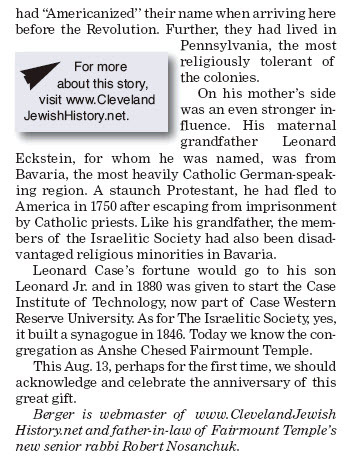 Shown below are the digital "clippings" from the online Cleveland Jewish News of August 13, 2010, which was exactly 167 years after the date of the deed. 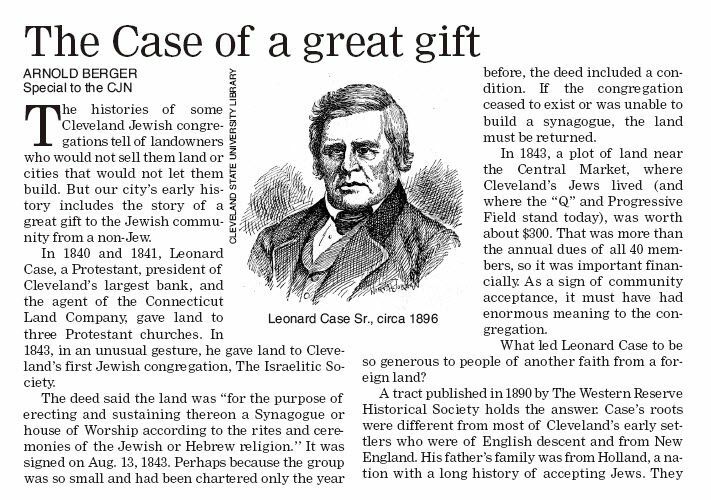 The Cleveland Jewish News Digital Archive is an indispensable and inexpensive resource for anyone interested in Jewish Cleveland and its history. To learn more about it, click here.